When it comes to finger fashions at the moment, there seems to be two schools of style: understated edginess and bohemian rock. Both trends provide fascinating visuals, but one looks forward and the other embraces the past. Elena Perminova is working a hand full of some seriously stunning Balenciaga rings. The delicate and artistic gold rings work together to provide visual interest and the perfect amount of edge. The top set of knuckle rings is currently on my wish list. Of course with festival season almost here though, we can't give up on our boho bling! 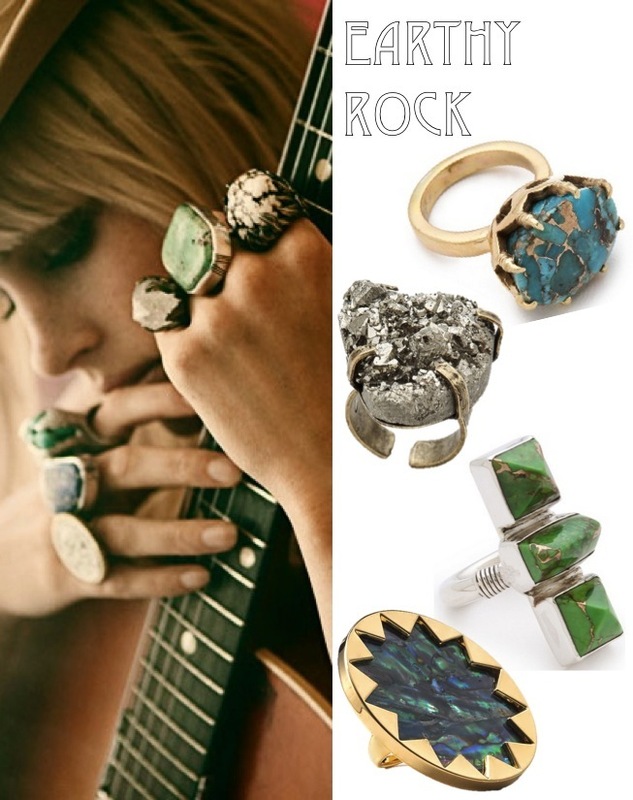 Give your inner rock goddess an earthy feel with statement rings featuring natural stones that have a 1970's feel. Now I want to know, which style of rings are you loving right now? 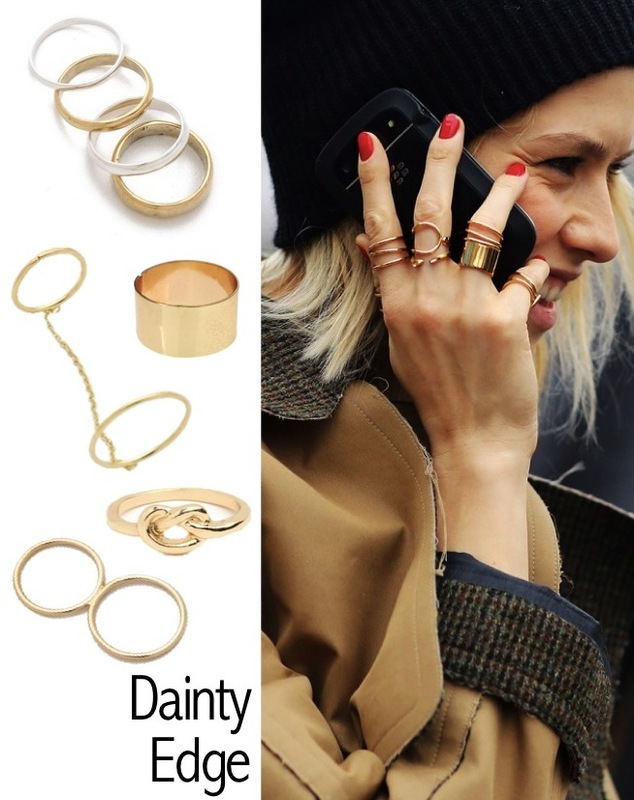 I love dainty rings...my favorite are ones from Catbird in Brooklyn. Those earthy rock ones are pretty cool too though! Love the first photo and the way she wore the rings!!! Those rings are so cool ! I'm definitely into the earthy rock ring thing. It just makes me feel like Frida Kahlo when I have them all piled on! I'm for sure more of a dainty edge kind of girl, but I gotta say, that House of Harlow ring is everything! I am a ring fiend. LOVING the first looks. A handful of dainty is perfection. Ooh I adore the top ones- i'm such a ring person. I have a drawer full! In my opinion, the more the better! Love the style of the first pic! I love your picks. I think you have incredible taste. I also did a post on knuckle rings too but I'm going to check out the ones you picked. Great rings! Love your blog! I love those ring, thanks for sharing. All of these ring are amazing and I want them all!! !